MacDailyNews Take: Hopefully, these patent will serve to protect against Apple Pencil knockoffs. Sounds good. Has anyone used the Phree digital pencil? I have not seen it in the wild. 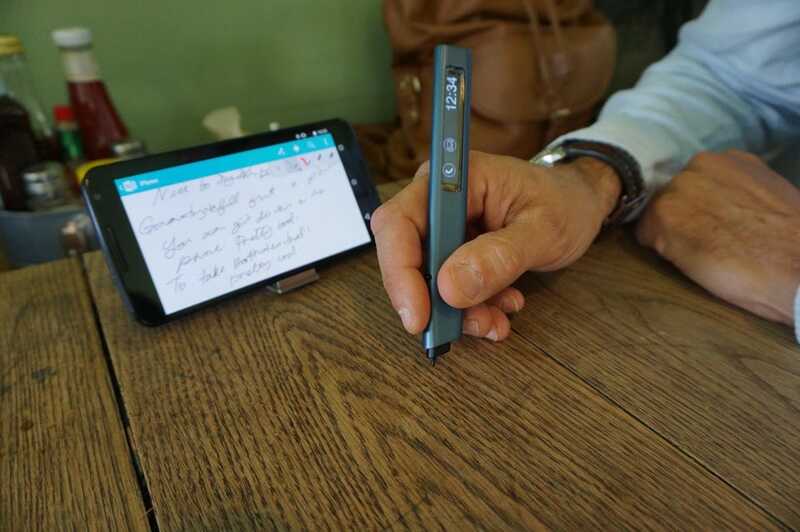 It writes on any surface, “… on wood, the couch or your hand, and the words will automatically show up on a [nearby] screen via Bluetooth.” It may have a high latency, though, which would be a profound disadvantage for the segment that uses an iPad. I wonder if Apple might be interested in acquiring this still fledgling tech. Why prevent DIRECT and similar technologies from becoming direct stylus competition for the Apple Pencil? My personal opinions on the Apple Pencil is that I find it to be total crawp! I, personally, do not like the whole Gestalt/industrial design/ergonomics of the Apple Pencil. Hate the smooth, slippery and cheaply feeling plastic material. Do not like the Barrel diameter ( I am used to the wider diameter barrels on other third party stylii as I am used to drawing with wider diameter marker pens). Don’t like that the Apple Pencil doesn’t have the true hexagonal, anti-roll shape of a “real” pencil or mechanical pencil. Don’t really like its unnecessary length. Do not like the really bad and kludgey way the Pencil charges. Not even a built in pencil clip (where the silver band is on the Apple Pencil would have made an ideal place for a built in pencil clip. The Apple Pencil along with the smart keyboard all feel rushed and like an afterthought in the overall designs of these accessories. If your Apple Pencil sat around unused and not kept charged up for more than a few weeks, or so, OR LONGER, then the battery in your Apple Pencil may have failed and is dead and you will have to purchase another brand new Apple Pencil. FYI and something Apple never divulges to it potential iPad Pro/Apple Pencil customers/users unless the potential customer/user is smart enough to ask about. Due to the “always on an active/stanby” nature of the Apple Pencil and, also, due to its very tiny rechargeable Li-ion battery (smaller than the eraser head on a REAL pencil), the Apple Pencil needs to be constantly charged up to some significant charge level ALL THE TIME, even when not using the Pencil for prolonged periods of time. The Apple Pencil needs to be kept charged to a minimum of 5-10% all the time. If the Apple Pencil battery is allowed to drain down to 0% and allowed to stay in that flat condition for more than a few weeks, or so, OR EVEN LONGER, that very tiny little Li-ion battery is too small to keep at a 0% state for a long period of time and it will fail and the Apple Pencil will be dead and you may have to “pop” for another $99 Apple Pencil, once again! This is just one of the few flaws and many reasons I loathe and do not like the Apple Pencil at all and prefer my own third party, Adonit smart Bluetooth stylus of choice. Here is a new pen/stylus that both works with all current iPads, iPod Touches and older iPhones with headphone jacks, as well as, with all Androd devices. It is called The Sonar Pen. Does NOT use any batteries or Bluetooth. It uses sound. It works similarly to another older non-Bluetooth stylus called the HEX3 Jaja. Except with Sonar Pen, the makers are using a wired connection to the headphone jack to better isolate the Sonar Pen’s high frequency audio signals instead of relying on the iPad/iPhone’s built-in microphone that the HEX3 Jaja relied on, which picked up sounds from everywhere and made the Jaja work reliably if the iDevice microphone had trouble “hearing” the audio signals from the Jaja stylus. “Long and narrow with a circular cross section and a pointed end”!